36 reviews on Amazon.com with 5 Stars Average! As a writer, speaker and blogger, Rich's bent is to influence fellow creatives and leaders to help them think strategically with conversations that clarify values, theology, and all things practical. Coaching is something Rich excels at. He has consulted churches from 100 to 6000 people in attendance. Whether its leading worship ministry, creative volunteers, or implementing social media in a ministry setting, Rich brings his unique experience and knack for conversation to the table. You can find this in his blogging, speaking, or hanging out with him at a favorite local coffee or foodie spot. As a worship leader and songwriter, Rich is part of the new worship team collaboration a beautiful liturgy which is currently working on an all-original recording project. In March of 2012 released a five-song EP titled "Drink The Divine" of all original material. Rich's songs are published with Epic Stache Music (ASCAP) and Tehilla Music. 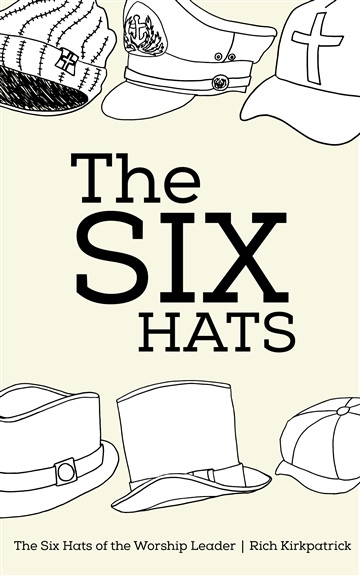 As an author, Rich published his first book in 2014, The Six Hats of the Worship Leader. This new book is available on outlets such as Amazon.com in paperback or on Kindle or iBooks as an ebook. Many have already taken their entire worship team and staff through this book! A native of San Jose, California, Rich is married to a charter school principal and has two children. Currently, Rich serves as Contemporary Worship Leader at Our Savior's Lutheran Church in San Clemente, California.